Visit Lakeshore Villas on Facebook! A shimmering lake, the faint call of wild ducks a cool intoxicating afternoon breeze and the rich scent of majestic pines. Lakeshore Villas is a remarkable blend of natural beauty, a magnificent view, outstanding amenities and a unique intimate atmosphere. Lakeshore Villas was created to preserve and enhance the remarkable beauty of Lake Houston and to offer you the comforts, convenience and numerous pleasures of a signature resort. You’ll enjoy strolling along our lakeside jogging trail while watching sunsets on the water. 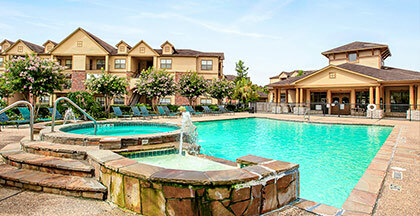 Come visit Atascocita’s luxury community today and experience lakeside living at Lakeshore Villas.